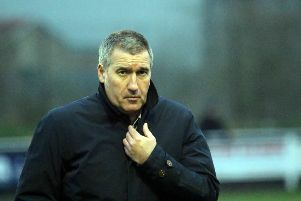 Banbury United boss Mike Ford says next season will be one of adjustment for the club following a shake-up of non-league football. It comes after the FA announced the biggest change to the structure of the non-league game in more than a decade. The Evo-Stik Southern League will run the new step three division which is being created for the start of the 2018-19 season. It follows a long-awaited review of steps three and four of the National League System to iron out geographical anomalies, cut down on travelling costs and time for fans, players and officials, and encourage more clubs to climb the pyramid. To achieve its aim, the FA also confirmed that only the bottom clubs in the current step three divisions will be relegated at the end of next season. In addition, only the clubs finishing last in the six divisions currently operating at step four will be relegated next season with 26 clubs coming up from step five. Ford said: “The league restructure will be very important to us – and many other clubs – next season. Only one team will go up and one come down so it will be a period of adjustment for all the teams in the Southern League.